How do you measure the impact and success of your staff’s induction experience? When so much time and money goes into recruitment and training of new staff, you simply can’t afford to leave the success of your staff onboarding activities to chance. Indeed a survey of 610 CEOs by Harvard Business School estimates that typical mid-level managers require 6.2 months to reach their break-even point, according to the Studer Group. In other words, estimations show that mid-level positions will require more than 6 months in the role to recoup the initial hiring investment. New Starter or ‘Onboarding’ Surveys are used by organisations to draw out feedback from newly hired employees, or internal transfers who are starting a new role. The survey covers topics such as the interview and recruitment process, the initial induction, the quality of training provided, and the employee’s general impression of their first 90 days in their new role. With many organisations already running exit surveys, onboarding surveys help deliver a balanced approach to collecting staff feedback. They ensure that the initial stages of an employee’s experience and tenure with your organisation are treated with equal importance as feedback from employees that have already resigned. Putting an onboarding feedback system in place to capture early warning signals of any potential problems, and importantly giving you enough time to do something about it before that person decided to prematurely depart, helps to reduce unwanted staff turnover and curbs high staff replacement costs. It’s good to consider how much you might save if you were able to reduce new starter turnover by even 2-3%, given the total cost of staff turnover is widely accepted to be between 1 to 1.5 of an employee’s salary. Limit avoidable or premature staff turnover. Identify which recruitment sources produce the best and most suitable candidates to help you channel your recruitment advertising activities into this area. Reduce productivity and team stability issues that can result from not talking to (or listening) to frustrated new hires. Identify any areas where new staff do not understand their role or duties and use this information to provide relevant targeted training to ensure they stay on track. Help management to understand the success of the existing new hire induction and training program, and proactively canvass opportunities to improve it. Some companies prefer to survey whilst the employee is still ‘new’ and hence send the New Starter Survey after the employee’s first week on the job. Conversely, other employers like to send the survey just prior to the probation period ending so they can address any issues, for example at the 6 or 12 week mark. This approach gives the employee time to settle into their role and hence provide more rounded feedback. Indeed a growing number of PeoplePulse clients prefer to split the Onboarding survey into two stages. Stage one is usually a short recruitment and induction based survey sent within the first week of the new employee starting work. Stage two is generally sent sometime before the probation period ends. Questions in the second phase relate to the employee’s training experience, their engagement levels, and on how well they have settled into their role. 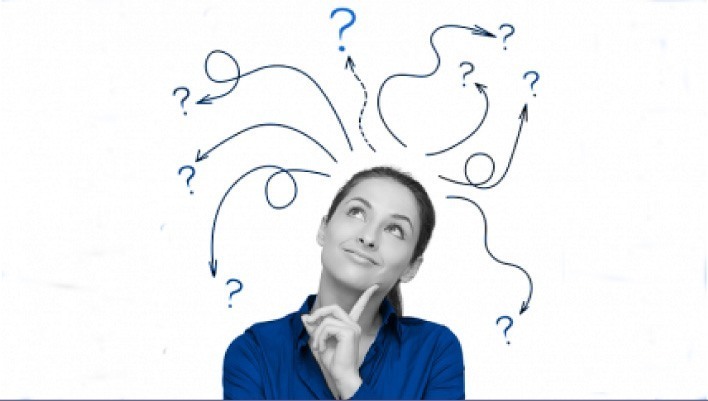 There is no right or wrong regarding exactly when to send your onboarding surveys out. The most important thing is that you put some sort of formal feedback process in place. There is much to gain from listening to the feedback of new hires, acting on their concerns and soliciting their ideas to improve your business. PowerPoint, websites, you name it. Receive quick & insightful feedback about the onboarding experience of your new hires from any device – desktop, tablet or mobile. Have you considered the impact that early departures are having on your business? What effect is this having on your bottom line? What effect is this having on your staff morale? How much training time and investment is wasted in having new starters depart prematurely? Have you canvassed recent new hires regarding what aspects of their experience they valued, and how you can improve your onboarding process? Our Project Managers have extensive experience in the set up and delivery of best in class onboarding survey solutions. We make it easy for you to get set up in no time. When it comes to your survey branding we give you the ultimate choice. Mirror the exact look of your website, co-brand with the PeoplePulse logo, or 100% PeoplePulse branded to reinforce the involvement of 3rd party experts. Your call. 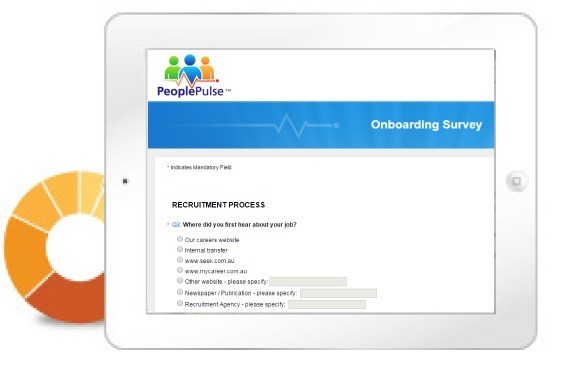 Utilise our proven single or multi-phase onboarding survey templates utilised by over 150 clients, or bring your own questions, or use a mix of both. Upload recipient e-mails to our system to trigger survey invites and reminders. Invite by email, SMS, QR code, intranet, lunch room kiosks or paper – or a blend of all. This free online video covers best practices for creating a first class staff onboarding feedback system, including the 3 key stages your new hires go through, a sample of the key questions to focus on within each stage, and the best approach for incorporating Manager feedback. This combination of exceptional software and unmatched support & advice works to ensure that your onboarding survey is set up professionally without fuss, and that ultimately your survey delivers you the insight you need to make better business decisions. (* Not to mention that to date we’ve helped more than 150 other organisations implement first class staff onboarding survey solutions). We look forward to the opportunity to assist you too. Great working with your Project Manager, she has been very accommodating and adds value where ever she can. You have been great! You are able to assist when needed and respond quickly! It is a pleasure to work with you! Service and communications from PeoplePulse has been excellent. Many thanks! Employee Onboarding – The Ultimate Guide. Find out what successful employee onboarding looks like, why it’s so important, and read examples of what other organisations are doing well. This free report is based on a survey completed by 350 HR Experts from across the A/NZ region, and provides valuable insights into their onboarding practices such as: when they start onboarding; for how long; the types of systems in place; what’s working well … and not so well!